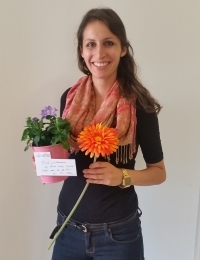 Say hello to our newest team member: Nadia Schiffel! Nadia joined ISTO as a research and teaching assistant this September. She holds a Master of Science in General Management from Eberhard Karls University in Tübingen (Germany). Previously, Nadia completed her Bachelor in Business Administration at the Humboldt University in Berlin. Nadia’s experience as in intern in the media industry – ranging from the film industry in Los Angeles to the ProSiebenSat.1 Media AG in Munich – sparked her research interest in investigating dynamics and digitization in this particular setting. Nadia will be part of the teaching staff for the courses "Strategic Organization Design" (Bachelor) and the EMM course"Thinking Strategically: Competing for Competitive Advantage". We are very pleased to welcome her on our team!